What other factors effect the determination of minimum sample size? The expected attrition rate should also be taken into consideration when determining your desired minimum sample size. An attrition rate is the percentage of the sample that "falls out" of, or fails to progress through, a longitudinal survey over time. For example, if 5,000 first year university students agree to participate in a three year study and complete the first questionnaire and 3,000 students complete all three years of the study, then the attrition rate would be 40%. When planning a longitudinal survey, plan for sample attrition. If, in this example, your estimated minimum sample size was 5,000, the loss of 40% of respondents between the first and third data collection periods would have a detrimental impact on data analysis and interpretation. Attrition should also be considered as a potential source of bias in your sample. Your data analysis team will need to compare characteristics and program-related factors of the attrition group compared with the rest of the respondents to investigate whether there are any differences between these two groups that may impact the survey findings. The expected response rate should also be taken into consideration when planning your desired sample size. Simply defined, the response rate is the number of respondents who agree to participate in a survey (or a research study) divided by the total number of eligible respondents. Response rates from surveys of your target population or about a similar topic can be used to make a reasonable estimate of the proportion of people who sampled who will agree to participate. 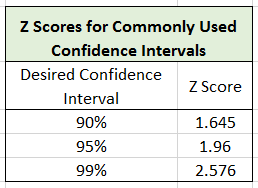 In practice, the calculation of a survey response rate involves a formula that includes distinguishing ineligible sampling units, non-contacts, refusals, partially completed surveys, and completed surveys. The survey response rate, and its converse, the refusal rate, need to be analyzed by key target population characteristics and other factors related to desired program outcomes to detect any non-response, or refusal, bias in the sample.